Concept art and models from the Forge World Open Day. 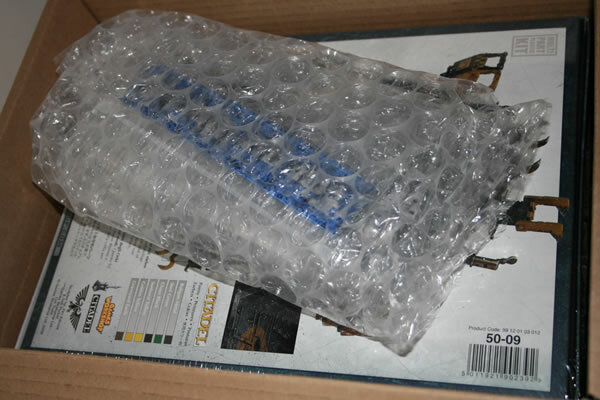 So this is what you get in the box, a complete shrink wrapped plastic Trukk kit and a bag of resin. 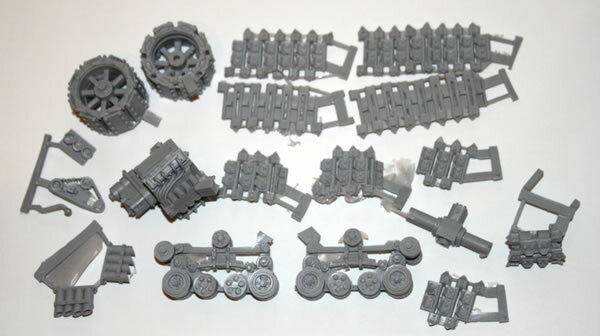 As you might expect the resin consists of the wheels, tracks and wheels for the tracks. 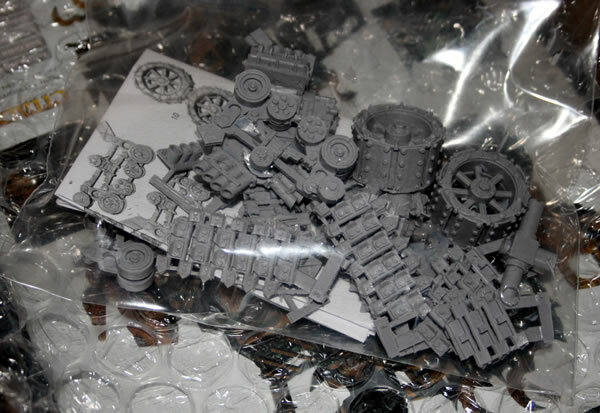 There is also a new engine which replaces the plastic one included with the kit. Here is a photo of all the resin pieces. One problem though (and you can see this above) is that I only had a single rear sprocket. The left one was missing.... A quick phone call to Forge World and a few days later the missing left sprocket had arrived. 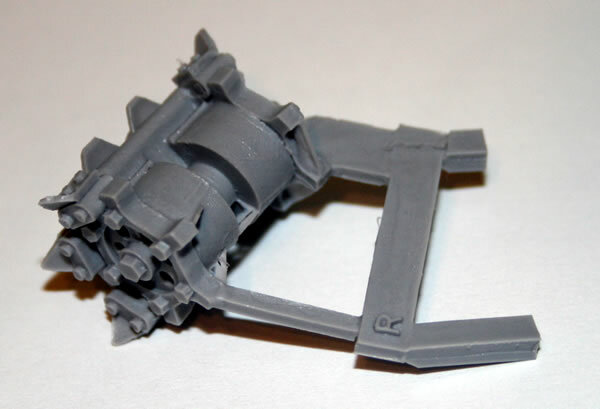 I have had virtually no issues with Forge World models in the past and this was the first missing part I had in any of the models I had made up to now.